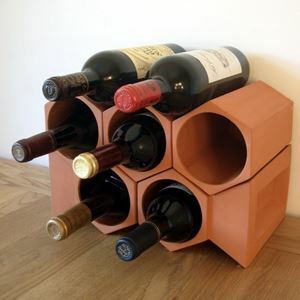 Our UK made terracotta wine racks are the natural choice for wine storage combining flexibility in design with natural benefits of the terracotta clay. 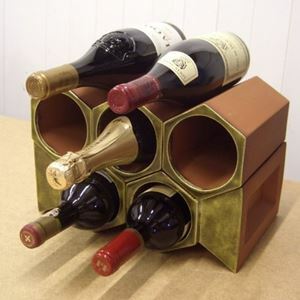 Produced as individual sections our wine racks have been designed for flexibility, interlocking to create beautiful, bespoke wine racks of all sizes & shapes. 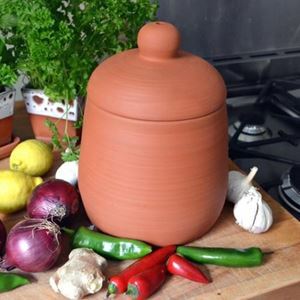 Terracotta's natural properties help regulate constant temperature and humidity needed to safely store and preserve wine. 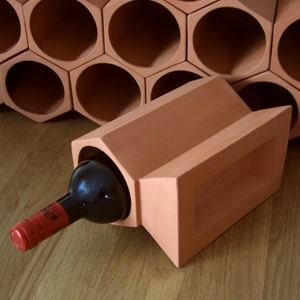 This flexible design enables unlimited choice from simple free standing wine racks to a complete wine cellar. 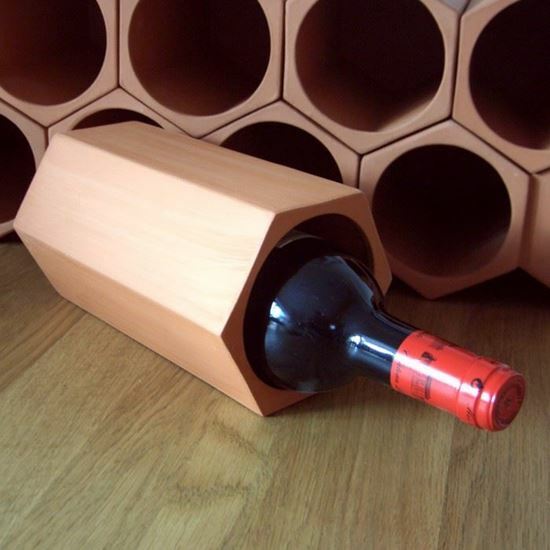 Our hexagonal wine rack units can be used in conjunction with our unique keystone sections which give additional side support enabling construction of free-standing wine racks to your own individual design. 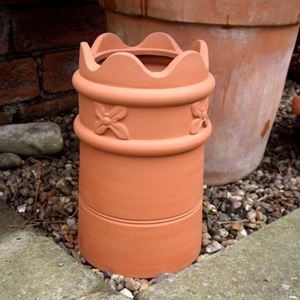 Also available with decorative glazed ends.